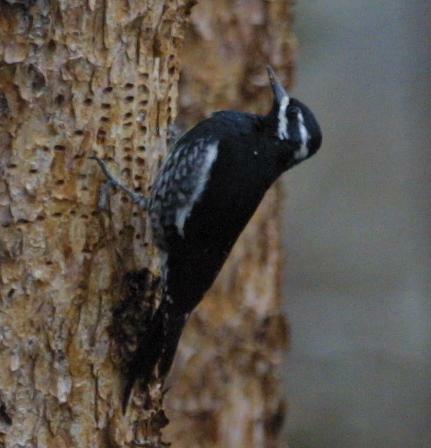 For the past week or so, I have heard a woodpecker in the morning on the Radlauer's lot. This afternoon, the bird moved to our lot, right outside our front poarch. 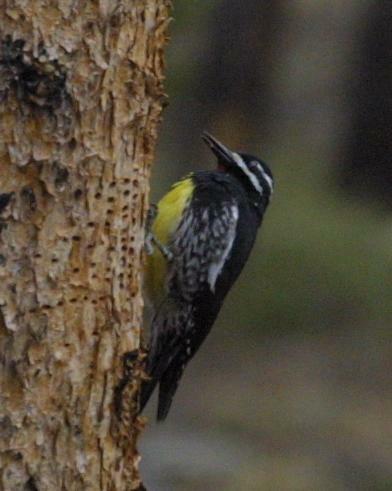 "I know this will sound like the line from a Loony Tunes cartoon, but I think it is a male yellow-bellied sapsucker, or more precisely, a Williamson's sapsucker." 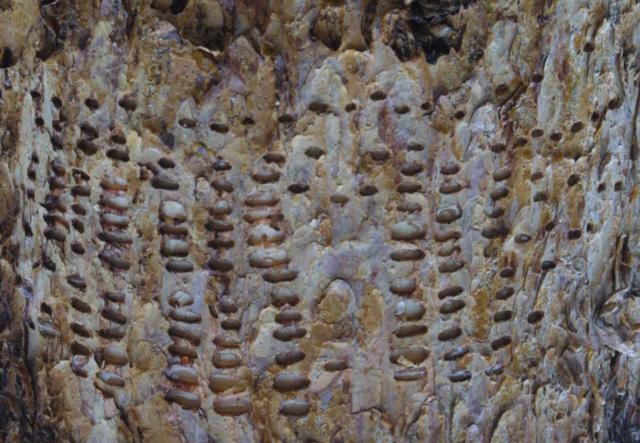 According to what we found on the web, Pine Bark Beetle does not appear to be in its diet, although other bugs are.